Advertisement to draw attention to a disease should raise a red warning flag. A basic rule is that real diseases don’t need any advertising, Only phony or fake diseases require advertising, to increase sales and profits for the drug for the new disease. In my opinion, such advertising is unethical, and these Hepatitis C ads (upper left) have raised ethical concerns. (14-16) Upper Left ad courtesy of Roche. Jill is a 52 year old nurse who contracted Hepatitis C after a needle stick at the hospital ten years ago. She has done well with occasional mild liver enzyme elevations and fluctuations in her platelet count which always seem to resolve on their own. In the past, Jill’s doctors have always offered the usual Hepatitis C treatment with interferon and ribaviron. Because of potential adverse side effects , she has so far declined treatment. Now, Jill’s doctors are recommending two new drugs, boceprevir (Victrelis) and telaprevir (Incivek). Jill is asking for advice. What should she do? Critics have pointed out viral liver infections with Hepatitis A and B are real diseases in which the virus can be isolated in culture from infected individuals, and animal disease can be produced by injecting the virus into animals. Thirdly, a vaccine against the virus can be produced in the lab. These criteria are called Koch’s postulates, used for one hundred years to prove microbial causation of disease. None of these Koch’s Postulates are satisfied for Hepatitis C, raising questions about the scientific basis for viral causation. With hepatitis C, Koch’s Postulates have been thrown out the window, changing the diagnosis to a new technique called RNA sequencing with the PCR test (polymerase chain reaction). (17) Modern microbiology has accepted this change, no longer requiring satisfaction of Koch’s Postulates. I would question the validity of this, and instead examine the profit motives involved. Huge amounts of money are at stake in the sale of drugs to treat the new disease. Is Hepatitis C an Auto-Immune Disease? Many clinical features of Hepatitis C resemble an auto-immune disease, such as the long duration, chronic nature and association with other auto-immune symptoms. Viral causation of Hepatitis C is accepted as dogma by modern medicine. Will this be modified or overturned in the future and changed to an autoimmune disease? We will have to wait and see. Left Image: Hep C ad posted on the side of a bus features an aging rocker. Courtesy of Vertex Pharmaceuticals Inc.
What Causes Progression of Hep C ? Burt Berkson MD has shared his experience treating Hep C patients with triple anti-oxidant therapy: alpha lipoic acid, selenium and silymarin with excellent recovery in three patients with advanced liver disease . (19,20) More on Bert Berkson study. Iron accumulation in liver in patients genetic hemochromatosis can cause mild elevations in liver enzymes on lab testing, and lead to more severe hepatic dysfunction and cirrhosis. Could reduction in iron stores be beneficial for Hepatitis C patients? A study from Japan shows that liver enzymes may normalize in Hepatitis C patients after repeated phlebotomies. (23) Others have confirmed that iron depletion may be beneficial. New drug treatments for Hep C are highly effective. A number of my patients with Hep C are now testing “zero viral load”on RNA PCR testing after drug treatment. Conclusion: Hep C advertising campaigns raise warning flags and serious ethical concerns about the motivations of the drug companies. Lack of virus isolation from infected individuals and animal models, lack of a vaccine, and failure to satisfy Koch’s Postulates of causation, raise questions about proof of viral causation. The mild clinical outcomes, and long term, chronic auto-immune nature of the illness suggests causation may be auto-immune, or perhaps another cause which is more complex than a simple viral model. If Hepatitis C causation is autoimmune, then leaky gut, LPS translocation to the liver through the portal circulation, and underlying gluten sensitivity should all be explored with lab testing. This would include gliadin sub fraction antibody testing, and a strict gluten free diet. There has been renewed interest in natural treatments for Hepatitis C with oral and IV antioxidants, alpha lipoic acid and Low Dose Naltrexone which may improve clinical status without adverse effects. J Infect Dis. 2012 Sep 1;206(5):654-61. A 25-year study of the clinical and histologic outcomes of hepatitis C virus infection and its modes of transmission in a cohort of initially asymptomatic blood donors.Allison RD, Conry-Cantilena C, Koziol D, Schechterly C, Ness P, Gibble J, Kleiner DE, Ghany MG, Alter HJ.Source Department of Transfusion Medicine, National Institutes of Health, Bethesda, MD, USA. A total of 738 volunteer blood donors who were positive for anti-hepatitis C virus (HCV) were assessed for risk factors and outcomes for up to 15 years within the study and up to 54 years from the estimated onset of infection. METHODS:A third-generation recombinant immunoblot assay (RIBA) was performed to distinguish true from false anti-HCV reactivity. Findings of HCV polymerase chain reaction classified subjects as having chronic HCV infection or as having recovered. Liver biopsy specimens were staged by Ishak fibrosis score and graded by histologic activity index. RESULTS:Of 738 anti-HCV-positive subjects, 469 (64%) had positive RIBA results, 217 (29%) had negative results, and 52 (7%) had indeterminate results. Primary independent risk factors were injection drug use (odds ratio [OR], 35.0; P < .0001), blood transfusion (OR, 9.9; P < .0001), and intranasal cocaine use, including 79 “snorters” who repeatedly denied injection drug use or blood transfusion (OR, 8.5; P < .0001). Classification and regression tree and random forest analyses confirmed these risk factors. A total of 384 RIBA-positive donors (82%) were HCV RNA positive; of these, liver biopsy specimens from 185 (48%) showed no fibrosis in 33%, mild fibrosis in 52%, bridging fibrosis in 12%, and cirrhosis in 2% a mean duration of 25 years after infection. Analysis of 63 repeat biopsy specimens showed that 8% progressed ≥2 Ishak stages over 5 years (mean progression, 0.06 Ishak stages/year). CONCLUSIONS:Injection drug use and blood transfusion before 1990 are dominant risk factors for HCV acquisition; intranasal cocaine use may be a surreptitious route of parenteral spread. After a mean of 25 years of HCV infection, histologic outcomes were relatively mild: 85% had no or mild fibrosis, and only 2% had cirrhosis. Nearly one-fifth spontaneously recovered. Autoantibodies in patients with chronic hepatitis C virus infection: pitfalls for the diagnosis of rheumatic diseases. Palazzi C, Buskila D, D’Angelo S, D’Amico E, Olivieri I.
Rheumatology Department of Lucania, San Carlo Hospital of Potenza and Madonna delle Grazie Hospital of Matera, Italy. Abstract Hepatitis C virus infection (HCV) is one of the best mimes in medicine. About 40-70% of patients suffering from this disorder develop at least one extra-hepatic disorder that can have a rheumatic nature (arthralgias, arthritis, vasculitis and sicca syndrome) and must be differentiated from the primitive rheumatic diseases. In addition, HCV infection can also alter the laboratory tests. Several alterations of first line laboratory tests can be usually found in both chronic HCV infection and chronic inflammatory rheumatic disorders. In the present review we analyze the interference of HCV in tests more specifically used in rheumatology: rheumatoid factor and other autoantibodies (ANA, anti-ENA, ANCA, anti-DNA, antiphospholipid, anti-CCP). In patients suffering from HCV infection, the diagnosis of connective tissue diseases (CTD) or rheumatoid arthritis (RA) should be made only when the detected symptoms or laboratory data are not inducible by HCV, otherwise only a diagnosis of “possible CTD” or “possible RA” should be considered. Strassburg CP, Vogel A, Manns MP. Source Department of Gastroenterology, Hepatology and Endocrinology, Hannover Medical School, Carl-Neuberg-Str. 1, D-30625 Hannover, Germany. Abstract Hepatitis C is a widespread chronic liver disease leading to cirrhosis and to the complications of portal hypertension. Based on biochemical and clinical features, it is almost indistinguishable from autoimmune hepatitis, which is characterized by the absence of viral infection, and other causes of chronic liver diseases, and represents a classical autoimmune disease with loss of immunological tolerance of liver tissue. Although the differentiation between both diseases is not difficult due the availability of diagnostic viral markers, it is well recognized that not only are autoantibodies present in autoimmune hepatitis frequently detected in hepatitis C, but also that an array of immune-mediated symptoms and diseases occur in patients with chronic hepatitis C. This has prompted research aimed at identifying a link between hepatitis C and autoimmunity, and autoimmune hepatitis in particular. This review focuses on the general immunological mechanisms linking viral infections with autoimmunity and includes the specific features of hepatitis C- and D-associated autoimmunity. Virus infection remains at the center of molecular and cellular research aimed at identifying the forces driving human autoimmunity and autoimmune diseases. Celiac sprue is being diagnosed with increasing frequency by screening individuals with epidemiologically associated autoimmune syndromes. We sought to test our hypothesis that hepatitis C also may predispose to celiac sprue because it can trigger autoimmune reactions. METHODS:Two hundred fifty-nine consecutively evaluated patients with chronic hepatitis C infection, 59 with autoimmune liver disease, 137 with other hepatic diseases, 356 with various GI syndromes, and 221 normal volunteers underwent serologic screening for celiac sprue. Patients with antigliadin, antiendomysial, and antitissue transglutaminase antibodies in serum underwent duodenoscopy and biopsy. RESULTS:There was a statistically significantly higher prevalence of antigliadin antibody in all groups of patients with liver disease compared with GI controls and normal controls. However, only patients with hepatitis C (n = 3; 1.2%) or autoimmune liver disease (n = 2; 3.4%) had antiendomysial/antitissue transglutaminase antibody in serum. One of 221 normal volunteers (0.4%) was antigliadin, antiendomysial, and antitissue transglutaminase positive; this individual also was found to have hepatitis C (previously undiagnosed). Each of these six individuals had mild intestinal symptoms, duodenal histopathology consistent with celiac sprue, and the celiac-associated HLA-DQ2 allele. Five of the six followed a prescribed gluten-free diet and experienced symptomatic improvement. CONCLUSION:Celiac sprue is epidemiologically associated with chronic hepatitis C infection and with autoimmune liver disease. Because hepatitis C is much more frequently encountered than autoimmune liver disease, hepatitis C appears to be the most common hepatic disease associated with the development of celiac sprue. J Clin Gastroenterol. 2004 Nov-Dec;38(10):901-5. Silent celiac disease in chronic hepatitis C: impact of interferon treatment on the disease onset and clinical outcome. Durante-Mangoni E, Iardino P, Resse M, Cesaro G, Sica A, Farzati B, Ruggiero G, Adinolfi LE. Divisions of Internal Medicine and Hepatology, Second University of Naples Medical School, Napoli, Italy. To assess the impact of interferon treatment on celiac disease onset in hepatitis C patients and to clarify its clinical relevance and outcome. BACKGROUND:Hepatitis C is associated with autoimmunity, which can be exacerbated by interferon treatment. Cases of celiac disease activation during interferon treatment have been reported. STUDY:Retrospective evaluation of 534 hepatitis C patients with or without symptoms compatible with celiac disease onset during interferon treatment and 225 controls. Anti-transglutaminase antibodies were assayed. HLA-DQA1 and -B1 loci were typed. Upper gastrointestinal endoscopy was applied to confirm the diagnosis in antibody-positive patients. RESULTS:Anti-transglutaminase antibodies were detected before treatment in 1.3% of hepatitis C patients and in 0.4% of controls (not significant). Eighty-six percent of patients with anti-transglutaminase antibodies showed activation of celiac disease while on interferon. Symptoms ranged from mild to severe, and interferon had to be discontinued in 2 of 7 (29%) patients. Symptoms disappeared in 6 of 7 patients after interferon withdrawal. Onset of symptoms compatible with celiac disease during interferon therapy was significantly associated with the presence of anti-transglutaminase antibodies (OR 53). In hepatitis C patients, the activation of silent celiac disease during interferon treatment is almost universal and should be suspected, but it uncommonly requires interferon treatment discontinuation. Symptoms subside after interferon withdrawal. Dig Dis Sci. 2008 Aug;53(8):2151-5. doi: 10.1007/s10620-007-0146-1. Epub 2008 Jan 31. Celiac disease and non-organ-specific autoantibodies in patients with chronic hepatitis C virus infection. Ruggeri C, La Masa AT, Rudi S, Squadrito G, Di Pasquale G, Maimone S, Caccamo G, Pellegrino S, Raimondo G, Magazzù G. Cystic Fibrosis and Paediatric Gastroenterology Unit, Dipartimento di Scienze Pediatriche Mediche e Chirurgiche, Università di Messina, Messina, Italy. Considering that celiac disease (CD) is an autoimmune-based entity and the hepatitis C virus is suspected of being able to trigging autoimmune reactions, it has been hypothesized that hepatitis C virus infection might predispose to CD. The aim of this study was to investigate CD-related antibodies in a large series of hepatitis C virus-infected subjects that were also tested for non-organ-specific autoantibodies (NOSA) as indirect marker of autoimmune disorders. METHODS: Two hundred and forty-four patients with chronic hepatitis C virus infection (HCV-patients) and 121 patients with HCV-negative liver disease (non-HCV-patients) underwent NOSA determination and celiac serology (firstly, anti-tissue transglutaminase antibodies, then the cases which tested positive were subsequently evaluated for the presence of antiendomysial antibodies). Serum samples from 42 of the HCV-patients who underwent interferon-alpha therapy after enrollment were tested for celiac antibodies and NOSA even after stopping treatment. Additionally, sera from 1,230 blood donors were assayed for celiac serology as healthy control population. RESULTS: Positive anti-endomysial antibodies (AEA) were found in 5/244 (2%) HCV-patients, 1/121 (0.8%) non-HCV-patients and 2/1,230 (0.16%) blood donors, with a significant difference between HCV-patients and blood donors (P = 0.02; Odds ratio 12.8; 95% Confidence Interval 2.4-66). NOSA were found in 51 HCV-patients but only one of them had positive AEA. Eight out of 42 HCV-patients treated with interferon-alpha developed NOSA under therapy and none of them had CD antibodies. AEA occur in 2% of HCV-patients and their presence is independent of other patterns of autoimmunity. for HCV there appears to be no such thing as a typical infection. The severity of the disease varies greatly from person to person and–to the frustration of clinicians and patients–there are few reliable indicators to predict who will do well or badly. Evidence accumulated over the past few years indicates that the immune systems of 15% to 25% of people infected with HCV will overcome the virus during the initial infection and clear it from the bloodstream. The remaining 75% to 85% will develop a chronic infection. NIH’s Alter and Jay Hoofnagle from the National Institute of Diabetes and Digestive and Kidney Diseases (NIDDK) reported results from a 7-year study of more than 400 would-be blood donors who had tested positive for HCV and whose infection could, in most cases, be traced to a transfusion or injection. Even though they had been infected for an average of nearly 20 years, only 13% had severe fibrosis and a mere 2% had cirrhosis. These results closely match those from an Irish study published in the 22 April New England Journal of Medicine that charted disease progression over 17 years in 376 women who had received contaminated blood products in the 1970s. And a study by NIDDK’s Leonard Seeff looked at 8568 blood samples stored by the U.S. Air Force between 1948 and 1954 and found that 17 tested positive for HCV antibodies; current records revealed that only one of those infected individuals (5.8%) died from liver disease. Host response to translocated microbial products predicts outcomes of patients with HBV or HCV infection. Sandler NG, Koh C, Roque A, Eccleston JL, Siegel RB, Demino M, Kleiner DE, Deeks SG, Liang TJ, Heller T, Douek DC. Source Human Immunology Section, Vaccine Research Center, National Institute of Allergy and Infectious Diseases, National Institutes of Health, Bethesda, Maryland 20892, USA. Chronic infection with hepatitis B or C virus (HBV or HCV) is a leading cause of cirrhosis by unknown mechanisms of pathogenesis. Translocation of gut microbial products into the systemic circulation might increase because of increased intestinal permeability, bacterial overgrowth, or impaired clearance of microbial products by Kupffer cells. We investigated whether the extent and progression of liver disease in patients with chronic HBV or HCV infection are associated with microbial translocation and subsequent activation of monocytes. METHODS:in a retrospective study, we analyzed data from 16 patients with minimal fibrosis, 68 with cirrhosis, and 67 uninfected volunteers. We analyzed plasma levels of soluble CD14 (sCD14), intestinal fatty acid binding protein, and interleukin-6 by enzyme-linked immunosorbent assay, and lipopolysaccharide (LPS) by the limulus amebocyte lysate assay, at presentation and after antiviral treatment. RESULTS:Compared with uninfected individuals, HCV- and HBV-infected individuals had higher plasma levels of LPS, intestinal fatty acid binding protein (indicating enterocyte death), sCD14 (produced upon LPS activation of monocytes), and interleukin-6. Portal hypertension, indicated by low platelet counts, was associated with enterocyte death (P=.045 at presentation, P<.0001 after therapy). Levels of sCD14 correlated with markers of hepatic inflammation (P=.02 for aspartate aminotransferase, P=.002 for ferritin) and fibrosis (P<.0001 for γ-glutamyl transpeptidase, P=.01 for alkaline phosphatase, P<.0001 for α-fetoprotein). Compared to subjects with minimal fibrosis, subjects with severe fibrosis at presentation had higher plasma levels of sCD14 (P=.01) and more hepatic CD14+ cells (P=.0002); each increased risk for disease progression (P=.0009 and P=.005, respectively). CONCLUSIONS:LPS-induced local and systemic inflammation is associated with cirrhosis and predicts progression to end-stage liver disease in patients with HBV or HCV infection. J Virol. 2004 June; 78(11): 5867–5874. 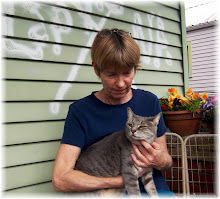 NOLA Hepper – Living in New Orleans, Louisiana with Hepatitis C and how taking Low Dose Naltrexone (LDN)to treat it is giving me back my life. It so happens that the auto-immune symptoms associated with celiac and gluten sensitivity diseases, including liver and gall-bladder disease, and which usually resolve slowly on a strict gluten and dairy-free diet, are essentially identical to the various syndromes seen in chronic Hep C, especially during or after interferon-alpha treatment. NUTLEY, New Jersey (July 26, 2005) – Roche announced today the launch of a major new campaign to motivate hepatitis C patients who have been diagnosed with the disease to take the critical step of discussing prescription treatment with a liver specialist or hepatitis C-treating physician. Clin Microbiol Rev. 1996 January; 9(1): 18–33. Sequence-based identification of microbial pathogens: a reconsideration of Koch’s postulates.D N Fredericks and D A Relman Department of Medicine, Stanford University School of Medicine, California 94305, USA. Over 100 years ago, Robert Koch introduced his ideas about how to prove a causal relationship between a microorganism and a disease. Koch’s postulates created a scientific standard for causal evidence that established the credibility of microbes as pathogens and led to the development of modern microbiology. In more recent times, Koch’s postulates have evolved to accommodate a broader understanding of the host-parasite relationship as well as experimental advances. Techniques such as in situ hybridization, PCR, and representational difference analysis reveal previously uncharacterized, fastidious or uncultivated, microbial pathogens that resist the application of Koch’s original postulates, but they also provide new approaches for proving disease causation. In particular, the increasing reliance on sequence-based methods for microbial identification requires a reassessment of the original postulates and the rationale that guided Koch and later revisionists. Recent investigations of Whipple’s disease, human ehrlichiosis, hepatitis C, hantavirus pulmonary syndrome, and Kaposi’s sarcoma illustrate some of these issues. A set of molecular guidelines for establishing disease causation with sequence-based technology is proposed, and the importance of the scientific concordance of evidence in supporting causal associations is emphasized. Ann N Y Acad Sci. 2012 Jul;1258:25-33. Zonulin, regulation of tight junctions, and autoimmune diseases. Fasano A. Mucosal Biology Research Center and Center for Celiac Research, University of Maryland School of Medicine, Baltimore, Maryland, USA. Med Klin (Munich). 1999 Oct 15;94 Suppl 3:84-9. A conservative triple antioxidant approach to the treatment of hepatitis C. Combination of alpha lipoic acid (thioctic acid), silymarin, and selenium: three case histories. Berkson BM. Integrative Medical Center of New Mexico, New Mexico State University, Las Cruces, USA. The author describes a low cost and efficacious treatment program in 3 patients with cirrhosis, portal hypertension and esophageal varices secondary to chronic hepatitis C infection. This effective and conservative regimen combines 3 potent antioxidants (alpha-lipoic acid [thioctic acid], silymarin, and selenium) that possess antiviral, free radical quenching and immune boosting qualities. CONCLUSION: There are no remarkably effective treatments for chronic hepatitis C in general use. Interferon and antivirals have less than a 30% response rate and because of the residual viremia, a newly transplanted liver usually becomes infected again. The triple antioxidant combination of alpha-lipoic acid, silymarin and selenium was chosen for a conservative treatment of hepatitis C because these substances protect the liver from free radical damage, increase the levels of other fundamental antioxidants, and interfere with viral proliferation. The 3 patients presented in this paper followed the triple antioxidant program and recovered quickly and their laboratory values remarkably improved. Furthermore, liver transplantation was avoided and the patients are back at work, carrying out their normal activities, and feeling healthy. The author offers a more conservative approach to the treatment of hepatitis C, that is exceedingly less expensive. One year of the triple antioxidant therapy described in this paper costs less than $2,000, as compared to mor than $300,000 a year for liver transplant surgery. It appears reasonable, that prior to liver transplant surgery evaluation, or during the transplant evaluation process, the conservative triple antioxidant treatment approach should be considered. If these is a significant betterment in the patient’s condition, liver transplant surgery may be avoided. Celiac disease in patients with severe liver disease: gluten-free diet may reverse hepatic failure. Kaukinen K, Halme L, Collin P, Färkkilä M, Mäki M, Vehmanen P, Partanen J, Höckerstedt K. Department of Internal Medicine, Tampere University Hospital, Tampere, Finland. Mild liver abnormalities are common in patients with celiac disease and usually resolve with a gluten-free diet. We investigated the occurrence of celiac disease in patients with severe liver failure. METHODS: Four patients with untreated celiac disease and severe liver disease are described. Further, the occurrence of celiac disease was studied in 185 adults with previous liver transplantation using serum immunoglobulin A endomysial and tissue transglutaminase antibodies in screening. RESULTS: Of the 4 patients with severe liver disease and celiac disease, 1 had congenital liver fibrosis, 1 had massive hepatic steatosis, and 2 had progressive hepatitis without apparent origin. Three were even remitted for consideration of liver transplantation. Hepatic dysfunction reversed in all cases when a gluten-free diet was adopted. In the transplantation group, 8 patients (4.3%) had celiac disease. Six cases were detected before the operation: 3 had primary biliary cirrhosis, 1 had autoimmune hepatitis, 1 had primary sclerosing cholangitis, and 1 had congenital liver fibrosis. Only 1 patient had maintained a long-term strict gluten-free diet. Screening found 2 cases of celiac disease, 1 with autoimmune hepatitis and 1 with secondary sclerosing cholangitis. CONCLUSIONS: The possible presence of celiac disease should be investigated in patients with severe liver disease. Dietary treatment may prevent progression to hepatic failure, even in cases in which liver transplantation is considered. J Clin Gastroenterol. 2005 Sep;39(8):737-42. Treatment of chronic hepatitis C virus infection via antioxidants: results of a phase I clinical trial. Melhem A, Stern M, Shibolet O, Israeli E, Ackerman Z, Pappo O, Hemed N, Rowe M, Ohana H, Zabrecky G, Cohen R, Ilan Y. Source Liver Unit, Department of Medicine, Hebrew University, Hadassah Medical Center, Jerusalem, Israel. The pathogenesis of chronic hepatitis C virus (HCV) infection is associated with a defective host antiviral immune response and intrahepatic oxidative stress. Oxidative stress and lipid peroxidation play major roles in the fatty liver accumulation (steatosis) that leads to necro-inflammation and necrosis of hepatic cells. Previous trials suggested that antioxidative therapy may have a beneficial effect on patients with chronic HCV infection. To determine the safety and efficacy of treatment of chronic HCV patients via a combination of antioxidants. Fifty chronic HCV patients were treated orally on a daily basis for 20 weeks with seven antioxidative oral preparations (glycyrrhizin, schisandra, silymarin, ascorbic acid, lipoic acid, L-glutathione, and alpha-tocopherol), along with four different intravenous preparations (glycyrrhizin, ascorbic acid, L-glutathione, B-complex) twice weekly for the first 10 weeks, and followed up for an additional 20 weeks. Patients were monitored for HCV-RNA levels, liver enzymes, and liver histology. Assessment of quality of life was performed using the SF-36 questionnaire. RESULTS:In one of the tested parameters (eg, liver enzymes, HCV RNA levels, or liver biopsy score), a combination of antioxidants induced a favorable response in 48% of the patients (24). Normalization of liver enzymes occurred in 44% of patients who had elevated pretreatment ALT levels (15 of 34). ALT levels remained normal throughout follow-up period in 72.7% (8 of 11). A decrease in viral load (one log or more) was observed in 25% of the patients (12). Histologic improvement (2-point reduction in the HAI score) was noted in 36.1% of the patients. The SF-36 score improved in 26 of 45 patients throughout the course of the trial (58% of the patients). Treatment was well tolerated by all patients. No major adverse reactions were noted. CONCLUSIONS: These data suggest that multi antioxidative treatment in chronic HCV patients is well tolerated and may have a beneficial effect on necro-inflammatory variables. A combination of antiviral and antioxidative therapies may enhance the overall response rate of these patients. Determinants of serum ALT normalization after phlebotomy in patients with chronic hepatitis C infection. Kawamura Y, Akuta N, Sezaki H, Hosaka T, Someya T, Kobayashi M, Suzuki F, Suzuki Y, Saitoh S, Arase Y, Ikeda K, Kumada H.
Source Department of Gastroenterology, Toranomon Hospital, 2-2-2 Toranomon, Minato-ku, Tokyo 105-8470, Japan. Abstract BACKGROUND:Phlebotomy is performed to reduce excessive iron accumulation in hepatic tissue. We studied serum alanine aminotransferase (ALT) normalization rates and 50% reduction in initial serum ALT (ALT(50%) reduction rate) in patients with hepatitis C viral (HCV) infection and investigated the factors that influenced the response to phlebotomy therapy. METHODS:We evaluated 23 consecutive patients with HCV infection who underwent phlebotomy. Phlebotomy was performed a few times per week, then a few times per month, and 200-400 ml of blood was removed at each session, depending on the clinical response. During the course of therapy, hemoglobin (Hb), serum ALT, and ferritin levels were assessed monthly. RESULTS:In patients with Hb of less than 11 g/dl, the ALT(50%) reduction rate was 87.5%. In patients with a serum ferritin level of less than 10 g/dl the ALT(50%) reduction rate was 83.3%. In patients with Hb of less than 11 g/dl, the ALT normalization rate was 50%, and in those with a serum ferritin level of less than 10 g/dl, the ALT normalization rate was 41.7%. Multivariate analysis identified ALT less than 100 IU/l at the start of phlebotomy as an independent factor associated with ALT normalization. Of the 7 patients who showed no response to phlebotomy, 85.7% were obese (body mass index > or =25 kg/m(2)), and 40% showed more than 30% steatosis on liver histology. The cumulative ALT normalization rate in relation to the total volume of blood loss was 43.9% with a blood less or more than 3 l, and thus was optimal above 3 l.
CONCLUSIONS:Although the sample number was relatively small, the results of our study suggest that phlebotomy is effective therapy for HCV patients who are nonobese, show little or no steatosis on liver histology, and have a baseline serum ALT level of less than 100 IU/l. Advertisement to draw attention to a disease should raise a red warning flag. This entry was posted in autoimmune disease, hepatitis C, LDN, leaky gut, Low Dose Naltrexone, wheat gluten and tagged autoimmune, Gilead, gluten, hep c, hepatitis c, ldn, Sovaldi by Jeffrey Dach MD. Bookmark the permalink. Great article! I first made the gluten/hcv connection after I went gf back in 2007 and had wonderful results – I later researched many articles (including most of the ones above) and posted them on my blog Nola Hepper – The ferritin connection was suggested by my own integrative doctor and I began using IP6 to keep my levels below 90 – And my Rheumatologist at LSU actually told me back in 2007 that Hep C was the “great mimic”. Again, I have posted my experiences on my blog. Thanks also for citing George Henderson’s work too – he made the gluten connection a few years back as well. For me, going gluten free, seeing Dr. Burt Berkson in 2009 and being prescribed Low Dose Naltrexone by him, as well as monitoring my ferritin levels have kept me going strong! Hopefully, more doctors like yourself will also make these connections! Thanks for the kind words Nola !